At Skyline High in Sammamish, Washington, Matthew Cindric was a standout at both offensive tackle and defensive end. 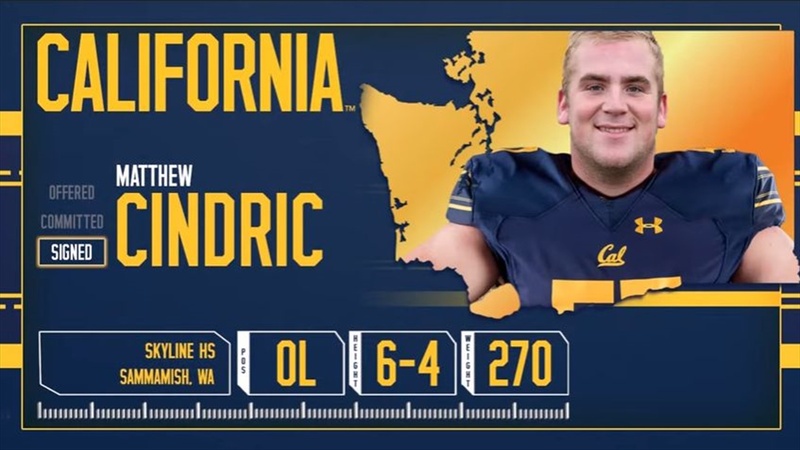 So when he arrived at Cal this year, the Bear coaching staff had to decide on a position for him. What did they do? Moved him to center of course. And if that surprises you, then you haven’t been paying attention to offensive line coach Steve Greatwood’s affinity for trying players at different positons. With no obvious successor to senior center Addison Ooms on the horizon, Greatwood decided it was worth taking a look at Cindric, all 6-feet-four, 270 pounds of him, as a man in the middle.